PokerStars NJ is the market leader due to their excellent customer service, their superb software, their potentially lucrative VIP scheme, and offering the widest variety of games. Established in 2001, PokerStars cemented itself to be by far the world leader for real money online poker. After receiving approval from the the New Jersey Department of Gaming Enforcement, PokerStars, which is licensed through the its partner Resorts Digital Gaming LLC, launched its online poker room in the Garden State in March 2016, quickly growing into the largest regulated online poker room in the United States. Read our review to understand why thousands of players were eagerly waiting for PokerStars coming to New Jersey. The New Jersey PokerStars brand offers a wide variety of bonuses and promotions to all the players who choose to open their account through PokerNews. In order to be eligible to enjoy all the PokerNews-exclusive offers and be awarded with the welcome bonus described below, all you need to do is to sign up for an account by clicking on one of the links on this page. PokerStars NJ offers players the biggest welcome package available at any regulated online poker room in the United States highlighted by up to $600 in bonus money. To take advantage of this offer, simply download NJ PokerStars through links on this page, make your first deposit using the bonus code "STARS600" and your funds will be matched by 100% up to $600! What's great about this bonus is that it is not only easy to clear but also you can spread the maximum benefit over the course of your first three deposits. As an example, you can deposit $50 using the bonus code above and receive $50 in bonus funds on your first deposit, deposit up to $550 on your next two deposits to be lavishly awarded $600 in bonuses. For players with a more limited bankroll, we recommend an alternative welcome package which awards $50 in free at PokerStars NJ play in the form of a $40 bonus and a $10 Spin & Go ticket for just a $20 deposit. That's an amazing 250% first deposit bonus, one you shouldn't pass up! 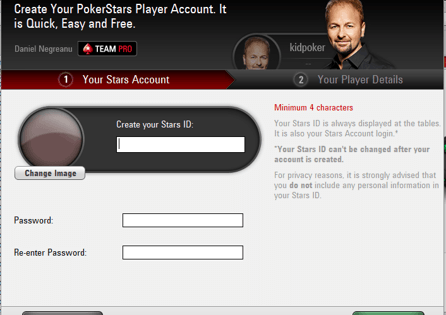 To grab this welcome package, just download PokerStars NJ and use the bonus code "STARS50" on any deposit of $20 or more. It is that easy! For even more value, both welcome packages also include a ticket to a huge $100K Spin & Go Challenge Freeroll ticket where $5,000 is awarded to first place. The VIP Club offers players a chance to earn StarsCoin, which can be used in the VIP Store to purchase tournament tickets, bonuses, merchandise, and much more. Players earn 5.5 VPPs per $1 in rake, which converts to StarsCoin at different rates depending on current VIP Status. The more VPPs earned the higher the VIP Status becomes with numerous levels including BronzeStar, ChromeStar, SilverStar, GoldStar, PlatinumStar, and Supernova allowing players to earn back up to 25% of their rake. Additionally, PokerStars NJ offers great promotions throughout the year including a Monthly Multi-Table Tournament Leader Board where $7,500 in free tournament money is available to be shared by the top 60 tournament players of the month. In addition, the site offers Challenges with the current one awarding tickets to the $100,000 Spin & Go Challenge Freeroll. You will already get one ticket to this freeroll through either of the welcome packages listed below and can keep earning tickets by completing a challenge of either playing at least $30 in Spin & Go's or by accumulating at least 50 VPPs in tournaments. Players can earn up to three tickets per month to increase their chance at claiming a share of the $100,000 on tap and the top prize of $5,000. PokerStars offers the widest variety of ring-games at stakes, ranging from $0.01/$0.02 to $25/$50, at any regulated online poker room. Additionally PokerStars NJ offers a huge variety of tournaments and sit-and-go's at different buy-ins suitable for all players. In addition to the plethora of majors and other tournaments, each Sunday the site hosts a huge $50,000 Sunday Special for a $200 buy-in, which has satellites running around the clock, allowing you to win your way into it for a fraction of the cost. Similar to its global brand, PokerStars NJ also hosts throughout the year numerous poker festivals including the New Jersey Turbo Championship of Online Poker (NJTCOOP) New Jersey Spring Championship of Online Poker (NJSCOOP), and the New Jersey World Championship of Online Poker (NJWCOOP). PokerStars became the world leader for real-money online poker by not only offering some of the best promotions, but also providing arguably the best software available. The same software is now available to players in New Jersey which far surpasses any other available options. 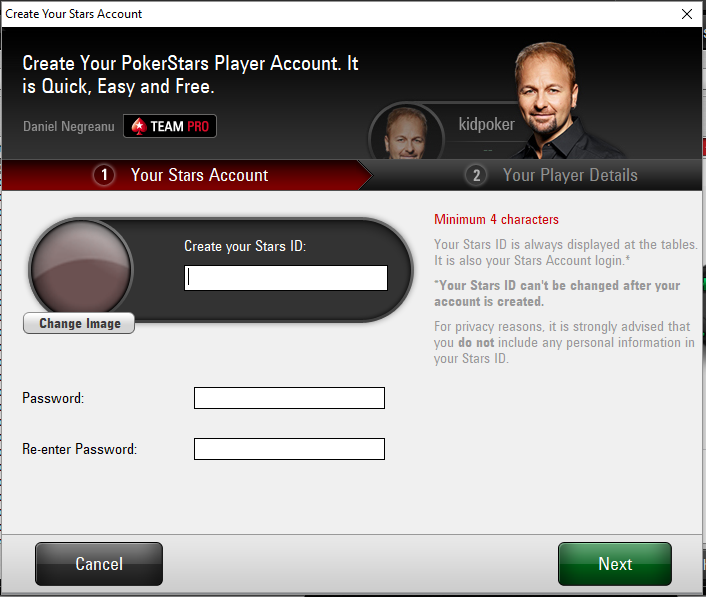 Additionally, players can enjoy playing at PokerStars NJ on just about any type of computer or device with downloads available for the PC, Mac, Android devices, and iOS devices including the iPhone and iPad. 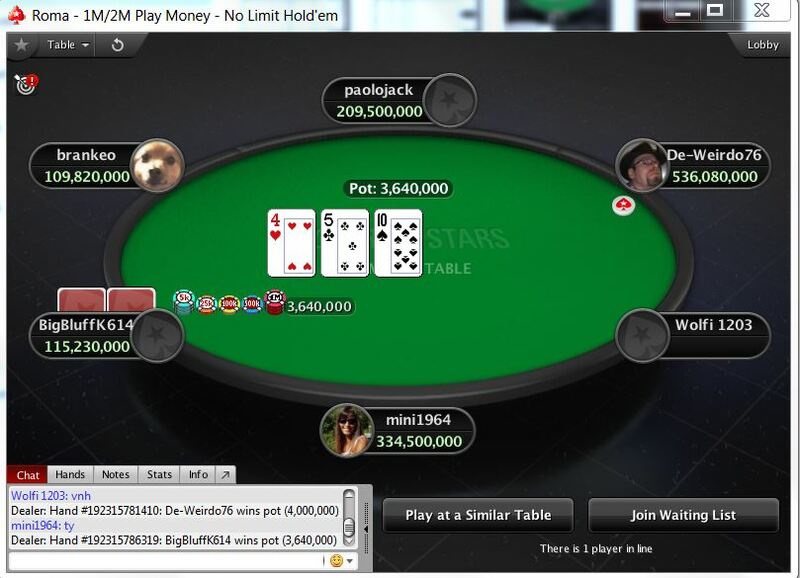 PokerStars NJ provides the best customer support by any US regulated online poker room. Questions are quickly and accurately answered via email 24 hours a day, seven days a week. Depositing and withdrawing is easy and quick with many different options available. Players can withdraw via instant e-checks, Neteller, and the PokerStars Play+ Card, while players can deposit via these options along with MasterCard, PaySafeCard, and PokerStars Instant Online Banking. Additionally, players looking to make more sizable deposits and withdrawals have the option of doing so at the casino cage at Resorts Casino located in Atlantic City. Whether you live in or are visiting New Jersey, you can't go wrong playing at PokerStars NJ due to the great software, awesome promotions, wide-variety of games, and great support. 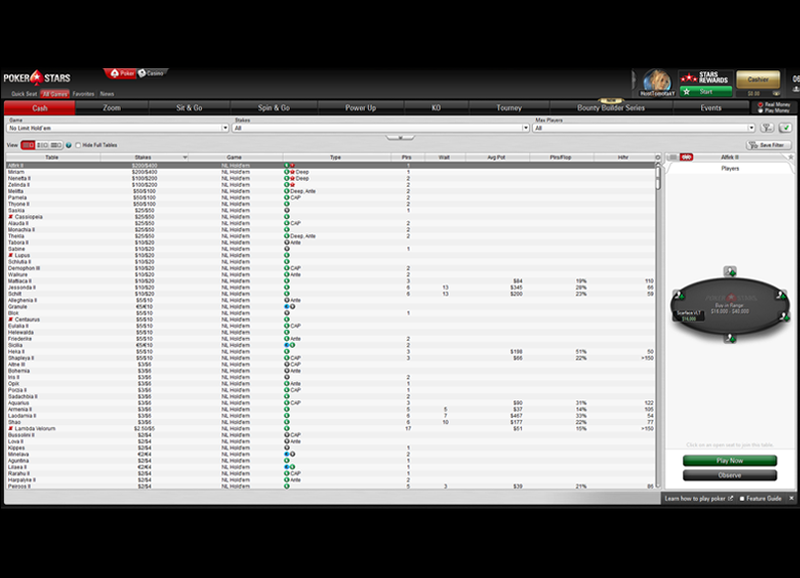 Download PokerStars NJ today to see why this online poker room is the best option in the United States.